In the modern life, cell phone is your best tool to communicate, and it makes your life wonderful. But when it has no power, what can you do except complaining? In this condition a new & hi-tech product will help-Emergency Charger, which can charge in anytime and anywhere. 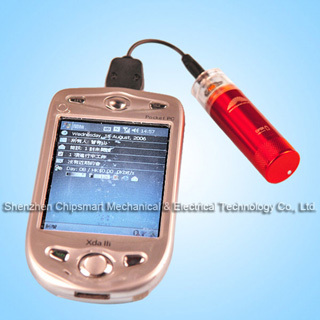 Pocket size and fashionable appearance, easy to carry, convenient to use in anytime and anywhere, only install one AA battery in it and then connect with your digital products. Don't worry power in air because you have emergency charger in your pocket.